11 'Real' Haunted Houses to Visit – If You Dare! Eleven 'Real' Haunted Houses to Visit – If You Dare! The Myrtles Plantation (Louisiana): Though it is claimed a staggering 10 murders occurred in the house and on the grounds of The Myrtles Plantation, actually only one is confirmed. The house is also said to be haunted by a former black slave in a green turban named “Chloe,” but the ghost is actually that of a French governess who lost her ears to frostbite. Nevertheless, there are reports of ghostly activity that you can check out for yourself because the 18th-century plantation home is now operated as a bed-and-breakfast. 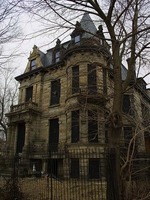 Franklin Castle (Ohio): From its gloomy exterior, Franklin Castle certainly lives up to its title: The Most Haunted House in Ohio. The old building has it all – crying children, disembodied voices in the walls, spinning chandeliers, faces materializing in the woodwork, a recurring blood stain and a mysterious woman in black who appears in the topmost turret window. Other peculiarities about the home are almost as creepy: a room that is at least 10 degrees colder than the rest of the house, a stash of baby skeletons said to have been discovered in the 1970s, and the macabre history of its original owner, whose family and many of those around him may have died under mysterious circumstances. 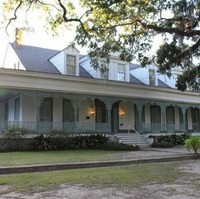 Hampton Lillibridge House (Georgia): This stately home is considered one of the most haunted in Savannah. Several unfortunate deaths have occurred on the site, which is believed to be cursed because of an ancient crypt in the basement. The house was uninhabited for years and even now, neighbors report seeing shadowy figures in the windows and hearing music and laughter when no one is on the premises. Continued below. Source: Sara Carpenter, Bob Vila, Historic Homes & More, October 2013. The George Stickney House (Illinois): Because he believed spirits needed the freedom to roam his house without getting trapped in angles, George Stickney designed his Illinois home with rounded corners. 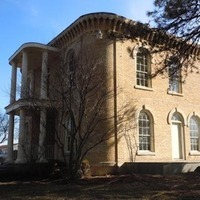 It has been more than 150 years since Stickney and his wife conducted regular séances in this now famous abode, but the supernatural occurrences have not ceased. 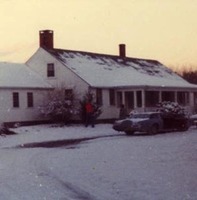 Stickney’s residence is now home to the Bull Valley Police Department where officers still hear phantom footsteps and shouts and objects move about on their own. 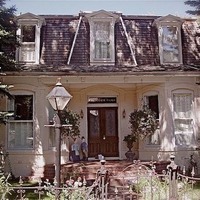 Pioneer Park (Colorado): Although charming, this Aspen house is said to be haunted by the scorned wife of Henry Webber. Rumor has it she learned of his apparent affair with their niece and committed suicide by taking strychnine. Webber went on to marry the niece and the couple often heard someone, or some thing, wandering about the house until Henry’s death. Continued below. 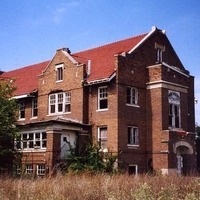 Ashmore Estates (Illinois): Ashmore Estates, a former poorhouse and later a mental facility in Illinois, stood abandoned for decades. Some believe it was once the meeting place for a Satanic cult. Others say they’ve heard disembodied voices, felt hot and cold spots, and even seen full-bodied apparitions. Still others claim they’ve run into Elva Skinner, the spirit of a young girl who tragically died there more than a century ago. Visitors’ experiences differ, but all agree on one thing – this building is massively haunted. Rowan Oak (Mississippi): Famed writer William Faulkner is said to haunt his former residence in Oxford. 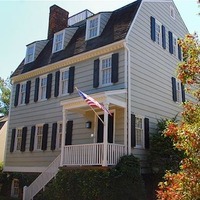 The Greek Revival house was built in the 1840s and is now a National Historic Landmark. If you take a trip to see Faulkner’s famous homestead, you might just spy his ghost wandering the grounds – or even writing on the walls. Pittock Mansion (Oregon): This 22-room French Renaissance-style chateau in Portland sounds like the ideal site for a horror movie and for good reason – several films have been shot here. Although random apparitions are said to materialize, they seem to be happy. In fact, many people would even say one of the mysterious presences – a strong scent of roses – is actually a blessing. Continued below. Ewww!! There's one in Oregon! Smith-Ely Mansion (New York): Built in 1858, this 43-room Classical Revival mansion in upstate New York retains much of its original craftsmanship. But craftsmanship isn’t all you’ll find here. Shadows move from room to room, there are sounds of people breathing when no one is around, and some mysterious event in 2008 upset one construction worker so much that he refused to reenter the house! 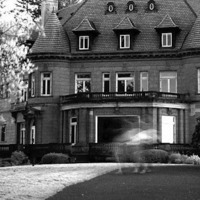 Thrill-seekers have the chance to experience the hauntings for themselves – today the Smith-Ely Mansion is a bed-and-breakfast. The Villisca Axe Murder House (Iowa): In 1912, this Iowa home was the site of a gruesome axe murder that took the lives of eight people in their sleep, six of them children. At the time, the police had no protocol for criminal investigations of this nature and allowed city residents to walk about the house where the corpses lay. In the more than 100 years that followed, people have heard children crying and seen doors opening and shutting on their own. Neighbors have watched multiple tenants flee, terrified in the middle of the night, never to return. I'm glad people are beginning to realize that the ghost in the green turban is the spirit of a white governess who haunted The Myrtles long before the politically correct owners of the house turned her into a frigging slave whose ears were cut off by her evil master. It's really getting bad when even ghost stories must be PC and include blacks, slavery and other such crap. It gets cold enough to freeze your ears off in Louisiana? She had worked as a governess in Canada before taking the job at The Myrtles. It was in Canada that she lost an ear to frostbite. I don't believe she lost both ears, but if one froze off, the other would likely have been damaged. She usually wore a green turban to hide what was left of her damaged ears.